The employment status of platform workers has been the subject of extensive litigation in the last couple of years. In many parts of the world, these workers have tried to obtain reclassification as employees in court. In a previous blog, I have highlighted how far too often the workers’ claims have been rejected on the basis of a hastened understanding of the functioning of platforms. In particular, many national courts have given too much emphasis on the purported flexibility of working time and shifts in platform work. I argued that this flexibility is often overestimated, especially when we ignore the functioning of algorithms assigning future tasks and shifts – flexibility cannot be taken for granted until it is sure that these algorithms, and the platforms, do not penalise workers with unstable schedules. Moreover, I questioned the opportunity of excluding employment status by focussing on the sole factor of the flexibility of working time, when many other factors point against genuine independence of platform workers, which would justify their alleged self-employment status. Even if these workers are entirely free to determine if and when to work, it is unreasonable to exclude them from basic labour protections such as the minimum wage, access to freedom of association and collective bargaining, and non-discrimination protection. This is because, during their actual spells of work, workers are anyway subject to invasive control from platforms, such as constant monitoring via GPS, or to disciplinary mechanisms that take into account the ratings given by customers. In the vast majority of cases, moreover, they do not have any say on their working conditions, including the compensation of any of their tasks, something that is utterly inconsistent with their classification as self-employed persons. It is therefore helpful that, recently, some judgements have adopted a more comprehensive approach when examining cases on the employment status of platform workers. In Australia, for instance, the Fair Work Commission reclassified a worker of food-delivery platform Foodora as an employee. The judgement, excellently discussed here by professor Anthony Forsyth, found that the platform “had considerable capacity to control the manner in which the applicant performed work, and it fixed the place of work and the start and finish times of each engagement or shift”. The Commission thus ruled that the worker “was not carrying on a trade or business of his own, or on his own behalf”. Instead, he “was working in the respondent’s business as part of that business”, his work being “integrated into the [platform’s] business and not an independent operation”. 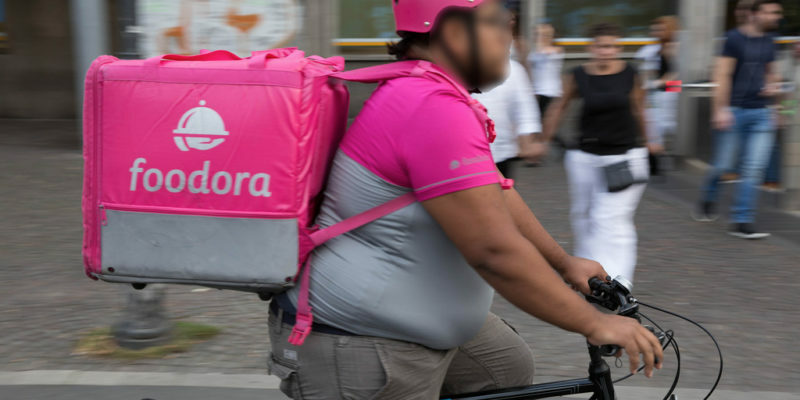 Therefore, the worker “was, despite the attempt to create the existence of an independent contractor arrangement, engaged in work as a delivery rider/driver for Foodora as an employee of Foodora”. France’s Supreme Court, the Cour de Cassation, reached the same conclusion about the employment status of the workers of another food-delivery platform. The Supreme Court quashed the judgement of a lower court that had rejected the riders’ claim to be reclassified as employees because they had the flexibility of deciding if and when to work for the platform. In doing so, the Court recalled that employment status does not depend on how the parties classify their work relationship “but on the factual conditions in which the workers’ activity is carried out”. It also highlighted that the platform had put in place a complicated disciplinary procedure that could bring to the exclusion of workers from the platform in case of repeated breach of their obligations. In light of this, the Court ruled that this disciplinary mechanism, together with the fact that the application used by the workers “was equipped with a geo-localisation system allowing the company to monitor the position of the rider[s] in real time and to record the total number of kilometres travelled by [them]”, amounted to a level of direction and control sufficient to establish the employment status of the workers. Both these judgements went beyond the contractual terms and conditions that had classified the workers as self-employed. In analysing how the work was executed, moreover, the judges moved away from the recurrent business narrative suggesting that platform workers all genuinely carry out their own independent business and that flexibility in deciding working hours should deprive workers of employment status and labour protection when all the other factors point otherwise. The issue of protecting people in new forms of work is still far away from a definitive solution, and how to best do so is still up for debate. For this debate to take place properly, however, we need to dismiss some of the most recurrent tropes and misconceptions that crowd policy discourses on platform work. Judgements like the ones described here are certainly a step forward in this direction.